A massive shipment of drugs was intercepted by law enforcement in Atlanta totaling almost $6 million in cocaine, meth, and heroin. Along with the drugs seized in the bust was $850,000 in cash. The investigation was led by the U.S. Drug Enforcement Administration and began in south Fulton County. A news release said the investigation would ultimately lead them to Gwinnett County. Friday, DEA Atlanta agent Robert J. Murphy announced at a news conference, "The drugs came in and were off-loaded at a tire shop down in the south Fulton area, and the stash house was up in North Gwinnett." Police began surveillance on the tire shop and monitored the activity near Metropolitan Parkway. Agents who were conducting surveillance on two vehicles began following them when they left the shop to head to Gwinnett. The release said the Georgia State Patrol conducted a traffic stop on one of the target vehicles which was a U-Haul truck. The vehicle was stopped on Washington Road in East Point and officers found a whopping 250 pounds of crystal methamphetamine. The second vehicle was also pulled over, this time by Lawrenceville police who found 25 kilograms of cocaine in the back of the car. 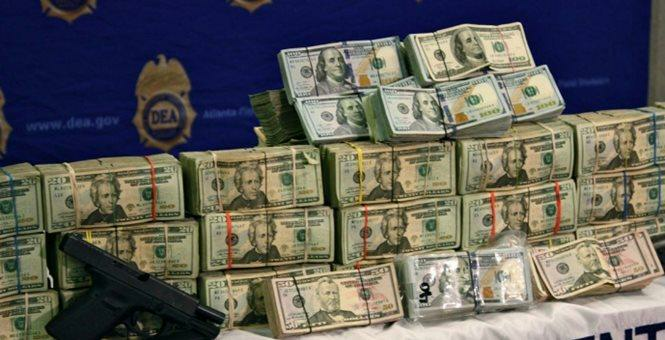 The DEA surveillance yielded almost $6 million in drugs as well as $850,000. Agents arrested Juan Antonio Guzman-Rodriguez, Antonio Jefferson Guzman, and Jose Salvador Herrera Guzman, all three were charged with trafficking cocaine. The drugs led investigators to obtain a search warrant for an address in Lawrenceville. At the home, agents found a hidden compartment that held eight kilograms of heroin, a shotgun, a handgun, drug packaging materials and the $850,000 cash. Investigators also seized car batteries that had been modified to stash drugs. The total drug tally equaled $3.1 million of cocaine, $1.2 million worth of heroin, and $1.1 million in meth. Murphy added the drugs were traced to one of seven Mexican cartels working in Atlanta but wouldn't identify which cartel was specifically involved. The investigation ultimately leads to the seizure of another 67 kilograms of cocaine, 21 kilograms of heroin, 250 pounds of meth, $2.2 million in cash, multiple firearms and 15 arrests. "Another successful law enforcement success targeting the Mexican organizations targeting this poison in our community," Murphy said. "Agents arrested Juan Antonio Guzman-Rodriguez, Antonio Jefferson Guzman, and Jose Salvador Herrera Guzman, all three were charged with trafficking cocaine. " Are they Illegal or Dreamers?